We offer IC package design services for emerging design technologies like Flip Chip, stacked die, POP, PIP in addition to wire bond technology for mixed signal and RF-IC products. Pre-Silicon validation on emulation platforms FPGA/QT, Low Level Drivers for functional verification of different SoC IPs. 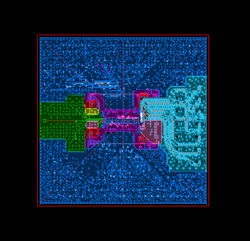 Post-Silicon validation on ASICs timing and voltage characterization. UST Global pre-silicon validation practice helps customers in validating the design to meet the requirements before fabrication. Our experts develop validation strategy to fully exercise all the design functionality through detecting violations of defined protocols and verifying data consistency at a high level. FPGA Design and Validation is the methodology to prototype SoC and ASIC design on FPGA for hardware verification and for early software development. Prototyping SoC and ASIC design on FPGA has become a main stream verification methodology for hardware design as well as a method for early software and firmware co-design. Anora Semiconductor Labs Pte. Ltd. Processor Systems (India) Pvt. Ltd.